This past week I’ve been working on editorial calendars. The above one is a redacted version of the one for Hex Dimension. We’d already been using Trello to help plan site content, but recently I found out that the project management platform has a calendar feature that aligns your Trello board’s “cards” to to a calendar view if said cards have due dates set on them. Which doesn’t exactly give you any real idea of where you might have gaps in your content output. And that’s one of the main things that an editorial calendar should help you to achieve: understand where you’ve got gaps in content so that you can plan accordingly. What’s also great is that you don’t even have to click into individual cards to reset dates once you’ve enabled the calendar mode and are viewing your board via it – instead you just drag and drop the cards on to the appropriate dates on the calendar view. You’ll find the general Trello board menu lurking around on the right hand side of your screen when using the desktop version of the service. In order to make the menu pop out, you may need to press an arrow to make the sidebar that contains the menu appear. Perhaps the only issue with the Trello calendar function is that you can only get that view on the desktop browser version of the app. 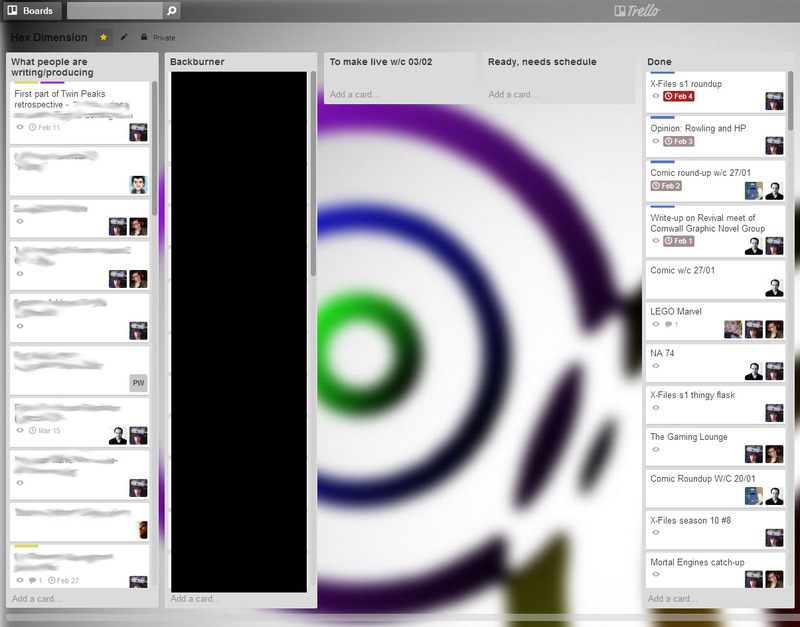 I hope that in the future, Trello can bring the view to its smartphone app for iOS and Android too.